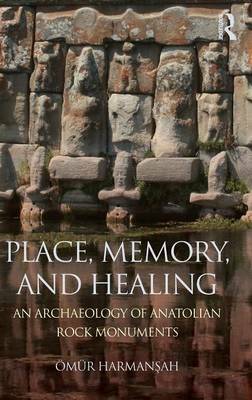 Place, Memory, and Healing: An Archaeology of Anatolian Rock Monuments investigates the complex and deep histories of places, how they served as sites of memory and belonging for local communities over the centuries, and how they were appropriated and monumentalized in the hands of the political elites. Focusing on Anatolian rock monuments carved into the living rock at watery landscapes during the Late Bronze and Early Iron Ages, this book develops an archaeology of place as a theory of cultural landscapes and as an engaged methodology of fieldwork in order to excavate the genealogies of places. Advocating that archaeology can contribute substantively to the study of places in many fields of research and engagement within the humanities and the social sciences, this book seeks to move beyond the oft-conceived notion of places as fixed and unchanging, and argues that places are always unfinished, emergent, and hybrid. Rock cut monuments of Anatolian antiquity are discussed in the historical and micro-regional context of their making at the time of the Hittite Empire and its aftermath, while the book also investigates how such rock-cut places, springs, and caves are associated with new forms of storytelling, holy figures, miracles, and healing in their post-antique life. Anybody wishing to understand places of cultural significance both archaeologically as well as through current theoretical lenses such as heritage studies, ethnography of landscapes, social memory, embodied and sensory experience of the world, post-colonialism, political ecology, cultural geography, sustainability, and globalization will find the case studies and research within this book a doorway to exploring places in new and rewarding ways.